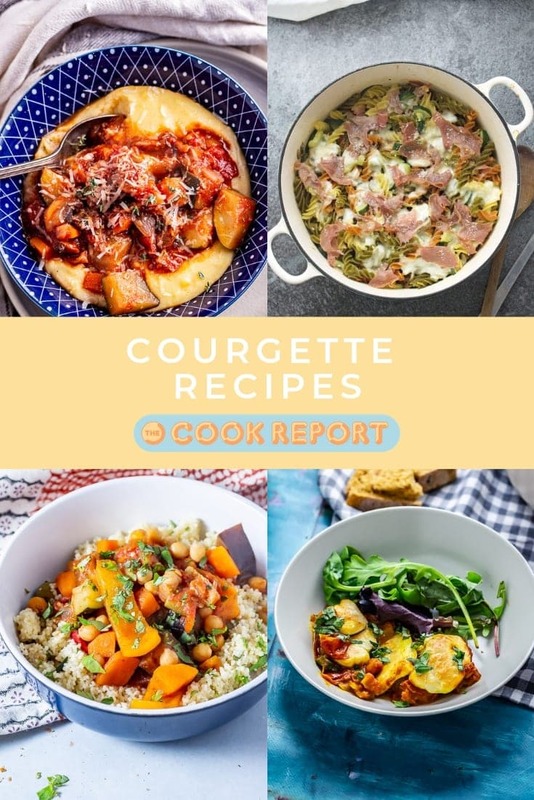 This is a collection of all my favourite courgette recipes and all the tips you need for how to cook with this versatile and tasty vegetable! Courgettes are a super versatile vegetable and one that I use regularly in my cooking. It tastes good in plenty of different cuisines and takes on flavour really well. What can I cook with courgettes? So many things! I use it to add bulk to pasta sauces, add it to salads, throw into soups and use it as a simple side dish. There’s so many options of things you can cook with courgettes so go crazy! When is courgette in season? Courgettes are in season in the summer from June to October. How do you prepare a courgette? Courgettes are very easy to prepare, they don’t need to be peeled so simply chop the ends off and then slice or dice and use in whatever recipe you fancy. What is the difference between a zucchini and a courgette? They’re the same thing! Zucchini is the word used in Italy and North America while courgette is the name used in British English. 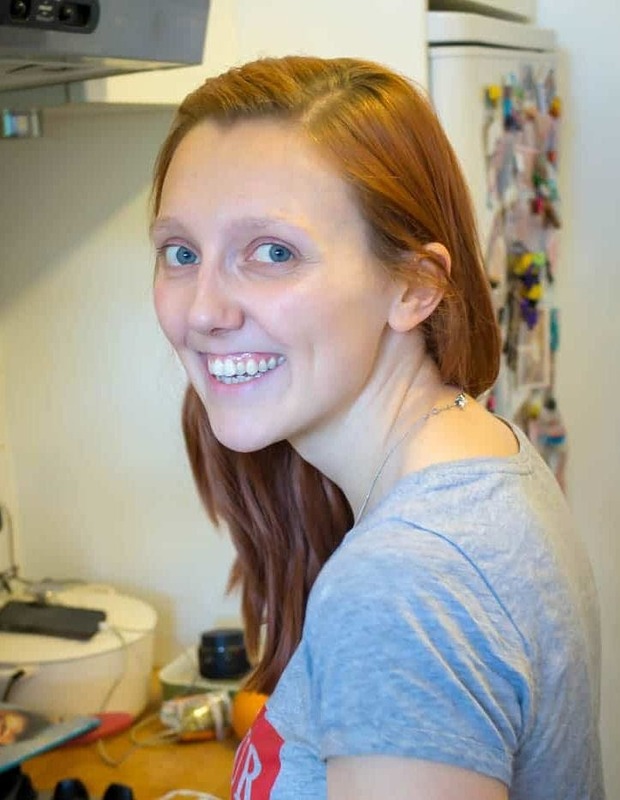 Can you eat raw courgette? You can eat courgette raw or cooked. It’s good added to salads as it has a nice fresh crunch which is slightly softer than cucumber. 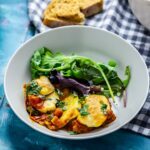 This halloumi bake perfectly combines the healthy freshness of vegetables with the chewy, salty halloumi for a delicious vegetarian dinner. Make this pork and courgette ramen for a quick weeknight dinner. Now you can have ramen on the table in less than half an hour! This courgette & prosciutto one pot pasta recipe is so quick and easy. Throw everything in the pot and 20 minutes later you've got dinner on the table! 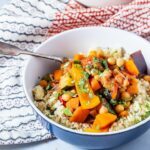 This vegetable tagine is one of my favourite healthy comfort foods. It's full of rich Moroccan spices and plenty of vegetables to help keep you healthy and comforted all winter long! 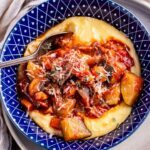 This rich vegetable stew with creamy polenta is the perfect winter vegetarian meal. It's easy, hearty and filling with amazing Italian flavour.